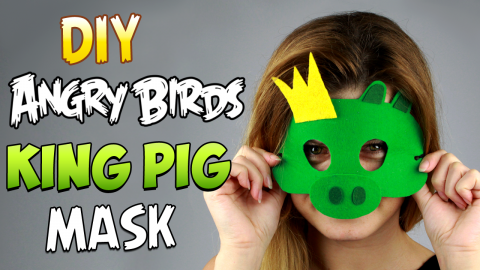 How to make DIY Angry Birds party supplies. 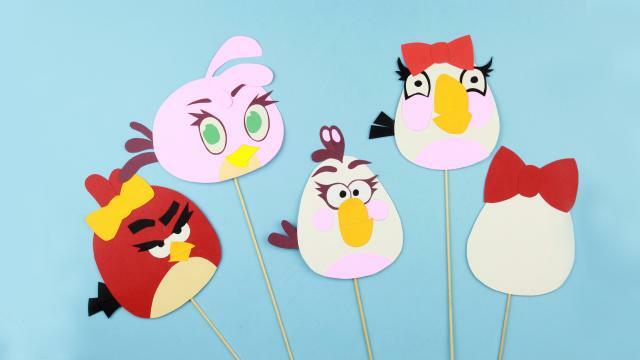 In this tutorial we'll craft a funny party decorations using color cardstock and wooden dowels. 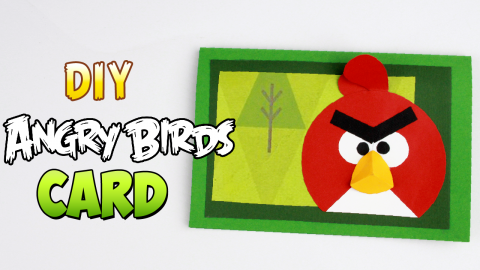 This handmade Angry Birds will become a great birthday party decorations! 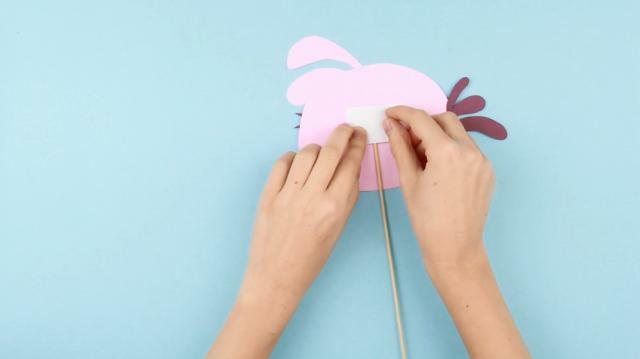 Draw a bird body resembling an ellipse on pink cardboard. Cut it out. Now outline several drop-like feathers to form a crest. Cut out. Sketch oblong-shaped eyes on white cardstock. Cut them out. There is a beak left. Draw a flattened diamond on the yellow. 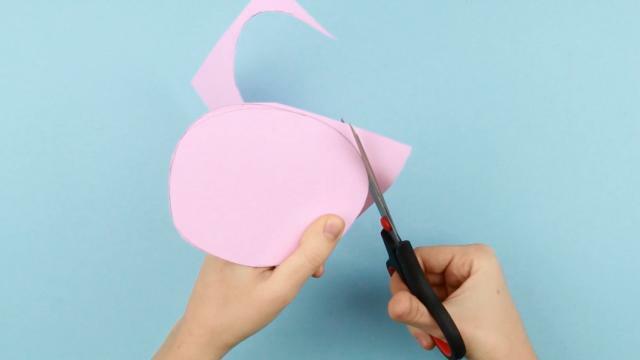 Cut out with scissors. 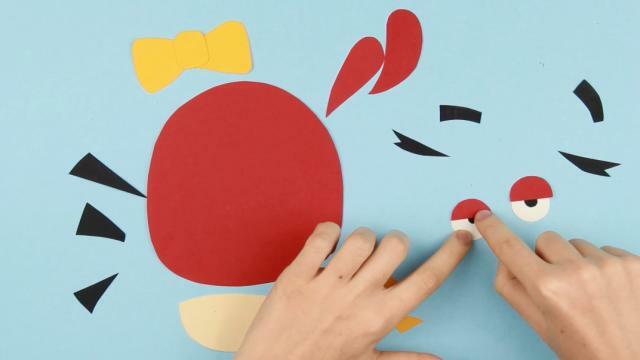 Make two small pupils. 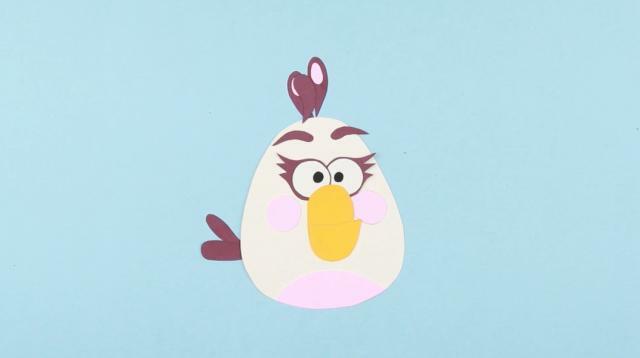 We’re creating a Female Bird Stella, let’s add eyelashes to make the image recognizable. Cut out. Draw a light breast. Cut it out. Keep in mind feathers and brows. All the details are prepared. 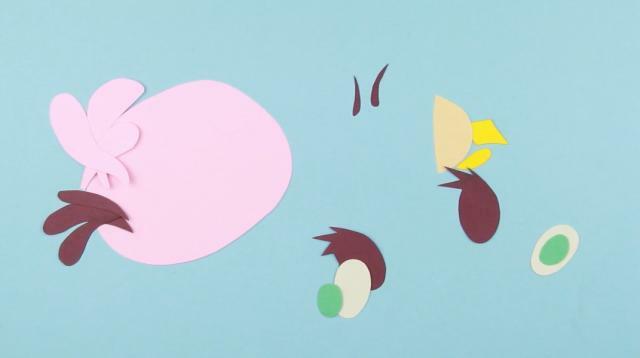 We can assemble and glue the elements. Don’t hurry, place the details to see how they fit before adding the glue. 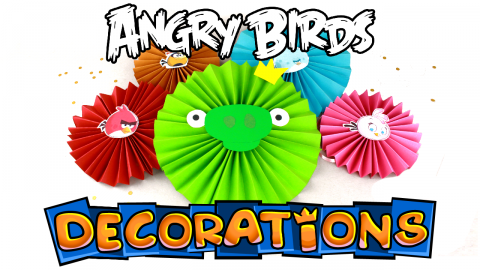 Make the feather crest. Add a tail. Make a couple of Birds more. We have chosen Female characters for the party supply collection. Start with a body again, red this time. The shape is always roughly round. Draw a yellow bow. Some birds have their own attributes. 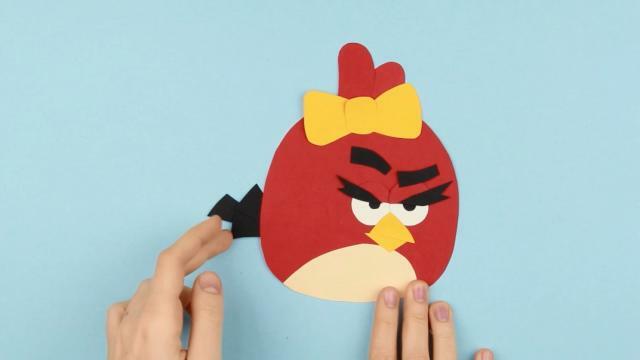 Craft a Female Red Bird. Some minor details may be missing. You should make the most recognizable elements. Add another character. 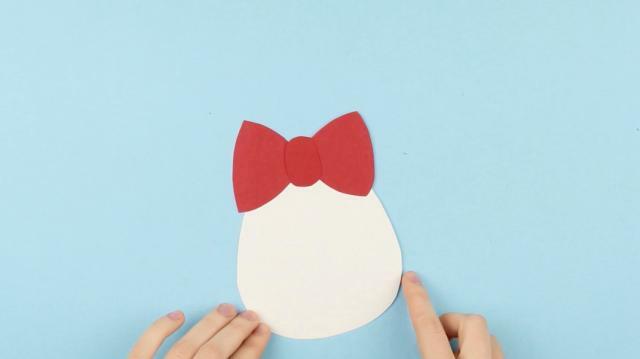 Outline an egg. Assemble and glue the elements. Follow the same steps. 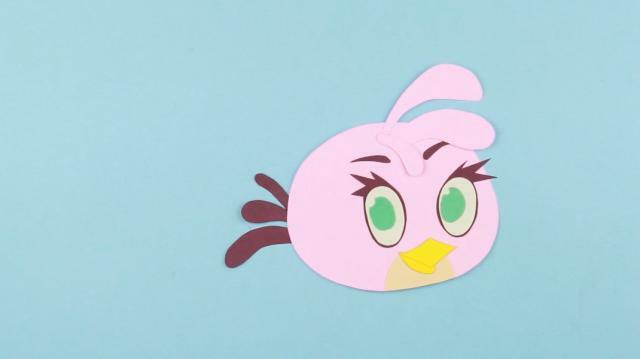 Make a Female White Bird this time. And one more Female Bird, Matilda. OK, everybody’s ready. Now we need dowels. 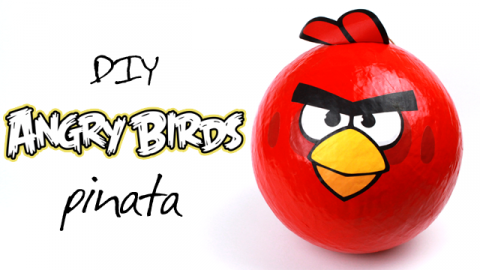 Use a hot glue gun to attach them to the Birds. Cover the attachment place. Repeat for the other characters. Look what we’ve done! 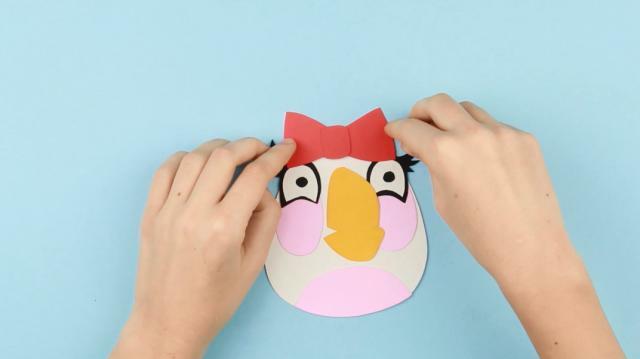 You can make a puppet show or decorate a party to entertain kids.